When most people train for a gruelling physical challenge they normally give themselves plenty of time to prepare. 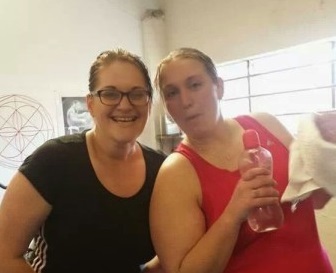 However, self-confessed running-phobes, Sarah Small from Illminster and Michelle Carvell from Chard, completed a 10K run in one hour 10 minutes raising £285 for Sport Relief in the process, having only put in a few weeks of training. What made the feat even more impressive was that previously, neither 27-year-old Sarah, who works for Bovis Homes as a sales adviser at its Cloakham Lawns development in Axminster, nor Michelle, aged 24, a legal technician for Fasttrac Solicitors, had ever jogged any more than two miles in one go. Sarah said: "The run was absolutely incredible, but very tiring. However, the buzz we got from doing it, along with the support from our family and friends, just kept us motivated throughout. We didn't even stop for a break when it started hailing. "The training we did was very painful but we were both really looking forward to this run as it was an incredible challenge for us, particularly as three weeks ago we could only run a couple of miles. "Neither of us are natural runners, but we were both inspired to do this following the announcement that some of the money raised this year would be going to help those who have been the victims of the recent flooding." The 10km route started in Crimchard, and finished in Illminster.